We here at Ganesh Himal Trading have been blessed to be featured in Fig Tree, a newspaper that features local non-profit and faith based communities. They wrote three features involving Ganesh Himal Trading, and fair trade, from our launch of ” The Power of 5 Campaign” to the upcoming Jubilee sale that features fair trade products from around the world including items from Ganesh Himal. As part of the annual Fair Trade Festival and inspired by PBS showing “Half the Sky” about the desire for girls and women to be educated, Ganesh Himal will launch “The Power of Five” or raise funds for the Girl Child Education Fund of the Association for Craft Producers (ACP) in Nepal to provide scholarships so girls can attend school. Many girls have been able to stay in school because of these scholarships, but, in February 2012, Ric and I met with two girls who had finished their three years of scholarships and were unable to continue because their father lost his income and no scholarship money was available, she said. Two women who have been friends for more than 25 years represent two parts of the global chain of fair trade from the earth to producers, wholesalers, retailers to consumers and back to the earth. 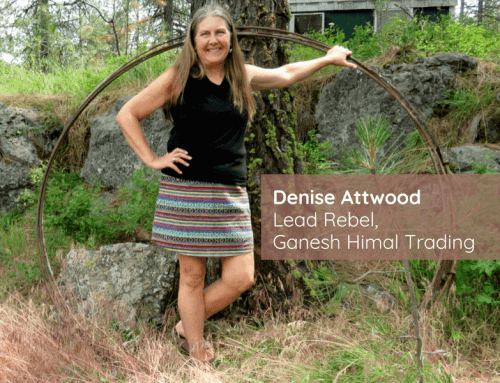 Denise Attwood, co-owner of Ganesh Himal Trading, is a wholesaler who has built a business with $1.5 million yearly in fair trade retail sales. 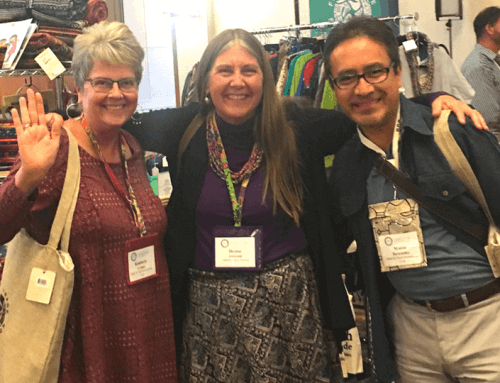 She business connects cottage industries and development projects for Tibetan refugees and women in Nepal with 250 retailers around the United States. Kim Harmson, owner of Kizuri, a fair trade retail outlet in the Community Building at 35 W. Main has the shop that had roots in the nonprofit Global Folk Art and now sells items from 40 cultures. Kizuri has grown from a business of $155,000 in 2008 to $253,778 in 2011. 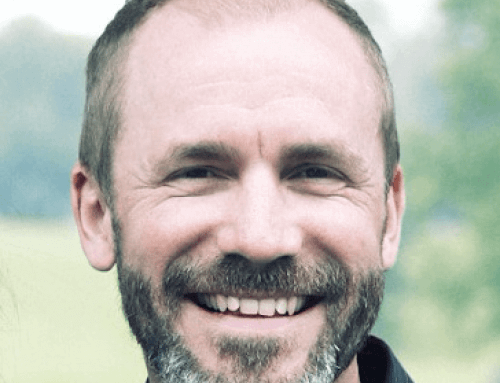 This growth has allowed the store to work with more artisan groups, double its inventory, hire part-time employees and make more than $21,000 in donations to nonprofits both locally and globally. Both experienced growth through the economic downturn. They operate outside the traditional business model. At a recent Spokane City Forum at First Presbyterian Church, they invited people to become consumers of fair trade products. Purchases cycle back through the retail-wholesale chain to producers whose lives and communities improve as they educate their children, gain access to medical care and provide food, shelter and clothing for their families. Beyond that, Denise and Kim said producers catch an entrepreneurial spirit and use savings to invite others, usually women, to earn a living by producing traditional and nontraditional products. Denise and Kim see fair trade as a win-win strategy to create micro-enterprise locally and abroad. Interested in cultures and people, Denise and her husband Ric Conner traveled in Nepal after earning degrees in environmental studies 28 years ago. They bought sweaters from Tibetan refugees. After a month of trekking, they told the refugees how much they liked the sweaters. After settling in Spokane 40 years ago, Naseem and Nissar Shah, who grew up in the village of Srinagar in Kashmir, India, found when they returned home in the 1970s that family, friends and other people in their village struggled because of poverty and war. At first the Shahs brought back traditional crafts lacquered papier-mach boxes, animals, eggs, candleholders, coasters, knitted purses and woven wool rugs by local artisans as gifts for their friends in the United States.For the last three years, they have been among the fair-trade vendors who sell hand-made products through the Jubilee International Marketplace at First Presbyterian Church in Spokane. Tourism had been a strong market in Kashmir, allowing artisans to make a modest living. Decades of war, however, led to a decline in tourism and living conditions. India and Pakistan still fight over the state of Kashmir. “I remember that Kashmir was a paradise on earth with the Himalayan Mountains, lakes and four seasons, she said. 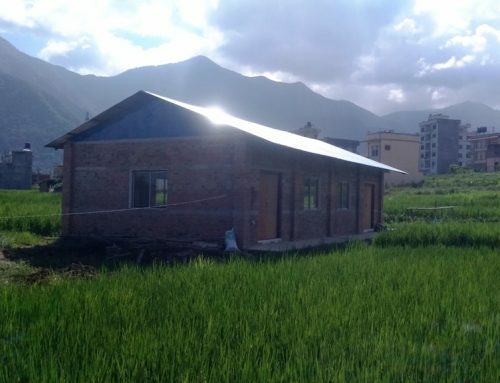 In the mid 1990s, they began buying crafts to help families in nearby villages. They paid in advance, because the artisans needed the money. “It’s the main livelihood for four families, she said. Along with their jobs, the Shahs then decided to start a small business and sell the crafts at craft shows in Spokane on weekends. Before they learned about fair trade, the Shahs sold items at local fall and Christmas season craft shows and at the Fall Folk Festival in November. Eventually, they also began to sell leather purses and jewelry they made with beads from India. For 14 years, Naseem has worked for Head Start, helping children and low-income families in Spokane. Nissar graduated from Gonzaga University in engineering and works in that field. Naseem’s father, who had come to the United States in the 1950s, taught civil engineering at Gonzaga. Naseem met Nissar when he came from the same area of Kashmir to study engineering. Naseem studied biology and chemistry, graduating from Gonzaga University in 1978. She worked as a medical technician before raising her family. Later she took classes at Spokane Falls Community College in early childhood education. Nasreen, the youngest of their three daughters, was nine when she first visited relatives in Kashmir. She helps her parents with the Jubilee sale. Now, she said, the original art form is on the decline as younger people do not carry on the traditions. So the Shahs have fewer items, and the Jubilee sale fits their inventory.